Randy is the founder and CEO of the Crisis & Trauma Resource Institute and ACHIEVE Centre for Leadership & Workplace Performance. He is a Registered Social Worker who holds a Master of Social Work degree and a Bachelor’s degree in Conflict Resolution. Randy is a visionary leader who, together with a team of employees and trainers, has positioned these organizations to be two of the premier providers of professional development training in the industry. Prior to founding CTRI and ACHIEVE, he worked directly with issues of crisis and trauma while being employed in the areas of mental health, counselling and crisis management within community, school and hospital settings. In addition to his work with CTRI, he is a former Board Director for the Canadian Association of Threat Assessment Professionals (CATAP). 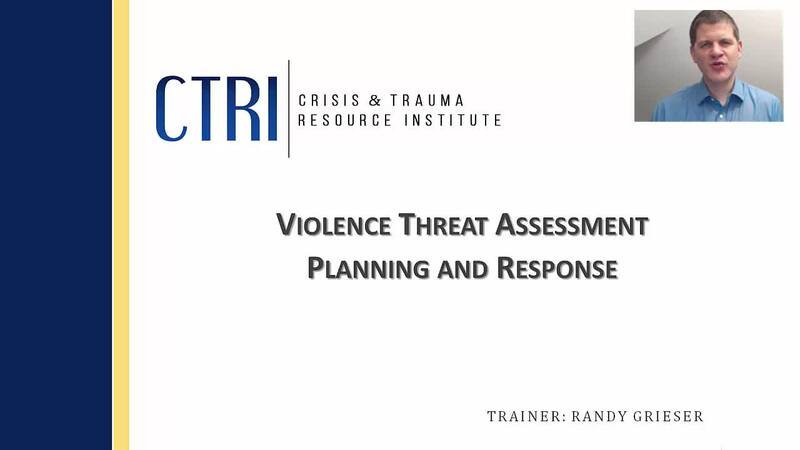 Randy believes that access to knowledge and skill development changes individual lives, communities, and organizations, and he is committed to making CTRI training and resources as accessible as possible. He is the author of The Ordinary Leader and co-author of The Culture Question. Randy is a dynamic presenter who delivers insightful presentations that are engaging, humorous and informative. Find his latest thoughts on leadership at TheOrdinaryLeader.com.